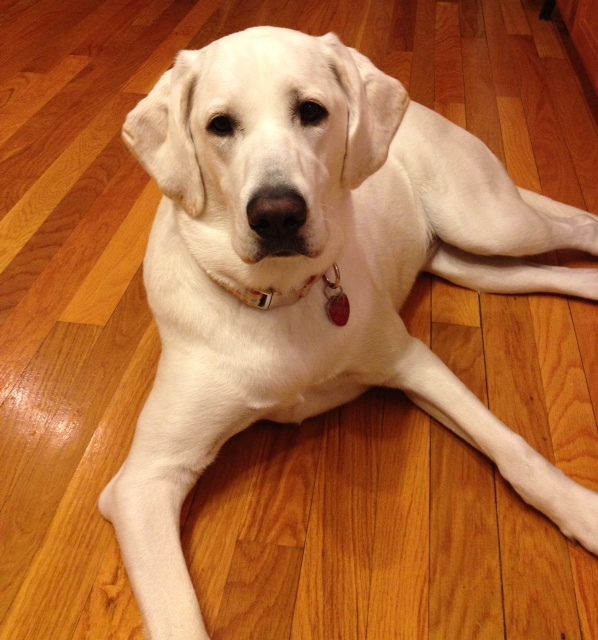 AnnaBelle’s Pet Star – Abby! Hi! 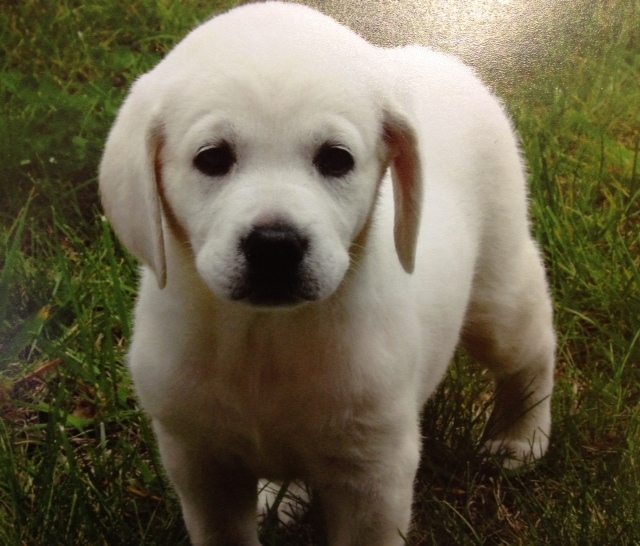 My name is Abby and I am a fourth generation “Snow” White Labrador. I was born in Northville on March 25, 2012. My parents – Marty & Michelle – met me just a few weeks later and chose to adopt me. There were lots of puppies for them to choose from, but I was the only one that snuggled with them and nuzzled into their necks when they held me and that’s why they chose me. They came to visit me a few times before they actually got to take me home. Finally, on May 5, 2012 they took me to my new home. I was excited to meet my kitty siblings, Grace & Charlie, and to see all of the toys and things waiting for me. I could tell they were very excited that I had finally come to live with them. I am a pretty active puppy and I have lots of energy. I go to the dog parks every weekend to play with friends, run, chew on sticks, swim, roll in mud….you know, all of the things Labs like to do. I also like to watch parades and have even been in a few of them. My parents and grandparents collect antique tractors so we went to some tractor shows last summer where I met lots of new people. I even rode around on the tractor with my mom and everyone thought I was really cute. Then in the fall we all went to Mackinaw and I got to stay in a hotel for the first time. That was quite an adventure! Even though it seems we’re always going somewhere, I also really like to be around home. We have a lot of room outside for me to run around and there’s lots of animal smells in the country which always makes it really interesting for me. I just turned 1 year old in March and I had a really fun day. I spent the day at school playing with my favorite friends and teachers. Then I went to the store and picked out a new toy. I carried it up to the register all by myself and it was really slobbery when I handed it to the guy at the register (that made me giggle). After I ate dinner, I got a scoop of vanilla ice cream (with sprinkles of course!) for a birthday treat. I was so tired from a fun day that I couldn’t wait to get to my favorite spot on the couch for a nap. Last year, once I had all of my puppy shots, I started going to school (this is an easier word for me than daycare) three days a week at Annabelle’s and I have to say those are three of my most favorite days. I have lots of friends at school and I also love the teachers. My mom & dad really like reading my report cards to see who I played with and how I spent my day. The teachers take good care of me and make sure that we all have a great time. I really like to wrestle with my friends and play with the bubbles. Sometimes, I’m so tired that I don’t want to wake up from my nap for the last play session of the day. I like to lay down with my blanket, listen to the music in the nap room and enjoy the fan blowing on me. I also took a Basic Obedience class at AnnaBelle’s which was really fun and we’re looking forward to learning even more this summer! Thanks to Abby’s Mom, Michelle Mull, for helping Abby write her story. 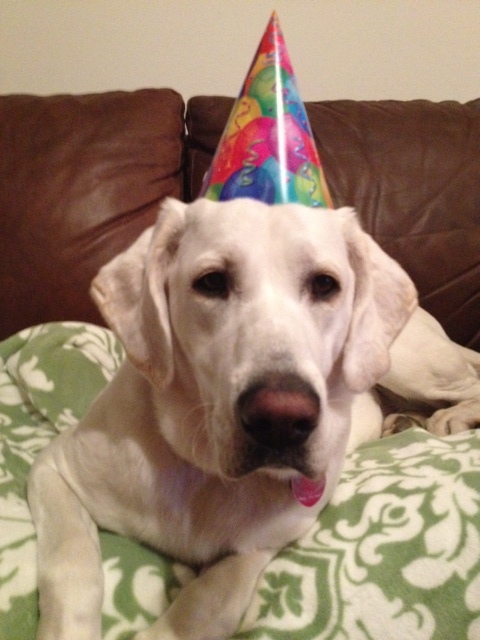 This entry was posted on Thursday, May 2nd, 2013 at 11:05 pm	and is filed under Pet Stars. You can follow any responses to this entry through the RSS 2.0 feed. You can leave a response, or trackback from your own site.